When the US divisional organization of a global Fortune 100 company recognized that its proprietary operating system supporting a high-value infrastructure clientele could be susceptible to cyber threats, the company determined it needed a cybersecurity assessment, the results of which could be readily conveyed to the C-Suite and the Board of Directors so they could gauge how well prepared the company was to fend off and recover from a cyber breach. The company turned to its long-time trusted cybersecurity partner, a major US defense contractor, which engaged Assured Enterprises, Inc. for the project. Evaluate all cybersecurity risks faced by the business unit that delivers the operating system for a component of critical infrastructure worldwide. Deliver comprehensive results while keeping costs down. Empower senior management with a game plan for improvement. Provide the Board of Directors a way to measure progress and results. Over the course of four days, Assured conducted its TripleHelix® assessment survey, a critical part of the most in-depth and comprehensive assessment on the market. In less than 45 days, Assured’s cyber experts scrutinized the requisite data and turned around an initial report that detailed the company’s Cyber Maturity, Threat Profiles and Incident Impacts. 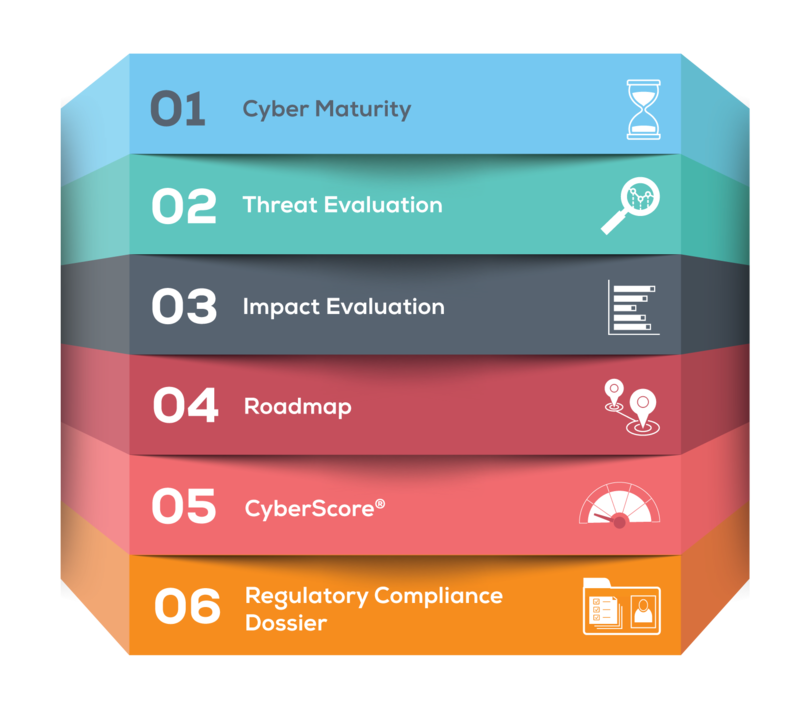 The final assessment report delivered a CyberScore® indicating the overall health of its cyber posture and a RoadMap for Improvement. Armed with valuable and actionable information, the IT Department, C-Suite—and ultimately the Board—can budget, evaluate and schedule improvements to minimize cyber risk in a cost-effective manner. A Revolution in Cybersecurity is Brewing. . . Unless your assessment comes from TripleHelix®, you can’t see all your cyber risk and mitigation options. Partner with the cybersecurity trailblazer that secures clients among the Fortune 500 and the most sensitive levels of government. Be a hero. Start a risk assessment revolution. Are you bold enough to be the trailblazer who propels your company into the future of cybersecurity and leaves your competition in the dust?